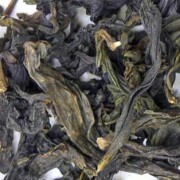 This highly prized and sought after Formosa (Taiwan) oolong is often referred to as the most prestigious or reserve grade tea for its exquisite beauty and complex layered flavors. 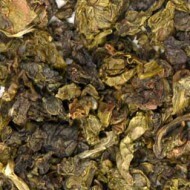 This cultivar is Chin Sin, meaning "purified or cleansed heart oolong." 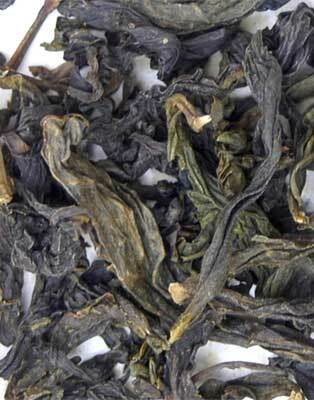 This spring harvest from the Pinglin District of Taiwan is processed with a minimum of rolling and drying. 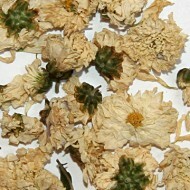 This results in the freshly picked long emerald green leaves to be lightly oxidized (approx. 10%), and produces an exceptional cup. 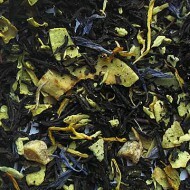 The infusion is light bodied with lush buttery flavors with a lively, dynamic character. 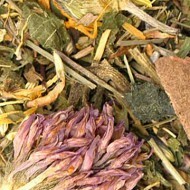 The aroma is gracefully aromatic and is similar to fresh honeysuckle. This varietal is easily identified by its delicacy and lingering fragrance and sweetness.